In the study named "Crushed Cartilage: A Rescue Procedure in Rhinoplasty", published in the Journal of Craniofacial Surgery a few months ago, the study in the nasal septum was obtained from cartilaginous areas or other nasal areas during nasal surgery. It was emphasized that cartilages were frequently used to remove irregularities on the nose after surgery, and the rate at which these cartilage tissues could be sustained by camouflage in the long term. While the use of crushed cartilage is now considered a valid procedure in rhinoplasty to eliminate irregularities and eliminate mild deficits, there is still no consensus on the degree of optimal crush and the rate of graft absorption over time. In order to shed light on these two important issues and to present some guidelines, the authors compared the performance of cartilage grafts placed in the same sites over time, resulting in improvement for all 95 patients exposed to a moderately crushed cartilage graft. Of the 28 patients with high-crushed cartilage, 17 had a first defect, at least 12 months apart. The study emphasizes that a moderate grind gives better results in terms of flexibility and stability over time. In fact, this information has been known for many years, and physicians have caused cartilage tissue deposition by subcutaneous methods. Instead of crushing the cartilage, it is more prudent to prepare the powder or divide it into small pieces, mix the cartilage with fresh blood during the procedure and increase the viability of the cartilage. 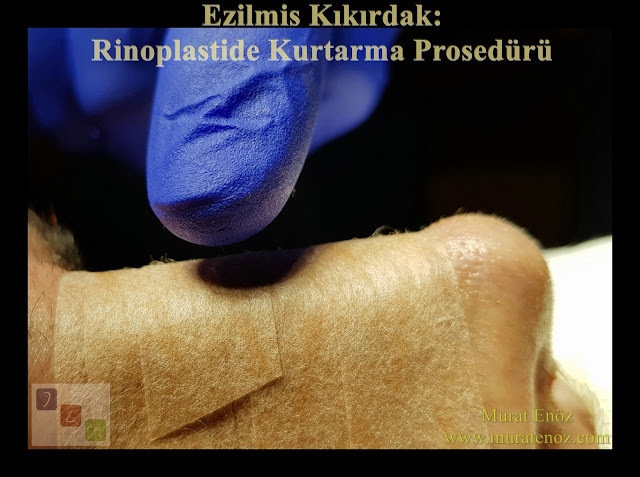 Apart from this, there are different techniques such as muscle membrane (fascia), artificial membrane and peridatric vessel graft.